Super rare Jarvis Hayes rookie card, only 25 made. Serial numbered 017/025. 03/04 Fleer Skybox Rookie RC. 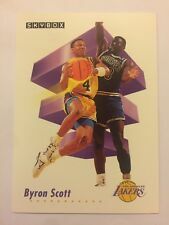 MAGIC JOHNSON VS LARRY BIRD 1994 SKYBOX SHOWDOWN SERIES BASKETBALL CARD #SS12 - LOS ANGELES LAKERS & BOSTON CELTICS. 1998-99 Fleer Brilliants Basketball Sealed Unopened Hobby Box 24 packs Pulsars?? Super rare Chris Kaman rookie card, only 25 made. Serial numbered 003/025. 03/04 Fleer Skybox Rookie RC. Jordan Skybox Z-Force Gold Card. League NBA. Graded In Gem-Mint Condition. Professionally Graded Graded. winner also will get 5 cards as bonus (include random insert card, normal cards, finest, bowman,etc). Super rare Carlos Boozer card, only 25 made. 03/04 Fleer Skybox Rookie RC. Super rare Willie Green rookie card, only 25 made. Serial numbered 010/025. Sealed 1998-99 Skybox Hoops Series1 Basketball Hobby Box 36 packs possible BAMs? 10 Bams cards (250 sequentially numbered sets). 10 Slam Bams cards (100 sequentially numbered sets). Sealed 1997-98 Skybox Premium Series 2 Basketball Hobby Box. Super rare Kyle Korver rookie card, only 25 made. Serial numbered 021/025. 03/04 Fleer Skybox Rookie RC. Winner also will get 5 random cards as bonus (include random insert card, normal cards, finest, bowman,etc). THIS IS A HIGHLY COLLECTIBLE ITEM FOR EVERYONE WHO LOVES SPORT. Era Modern (1970-Now). GRADE : Gem-Mint 10. 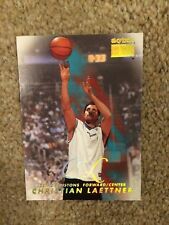 Super rare Luke Walton rookie card, only 25 made. 03/04 Fleer/Skybox RC. Super rare Dahntay Jones rookie card, only 25 made. Super rare Ben Handlogten rookie card, only 25 made. Mint condition Shawn Marion official game worn jersey card. Super rare Marquis Daniels rookie card, only 25 made. Serial numbered 023/025. 03/04 Fleer Skybox Rookie RC. Super rare Josh Moore rookie card, only 25 made. 03/04 Fleer/Skybox RC. 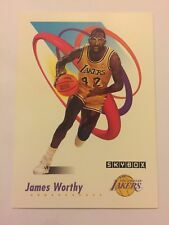 Super rare Mike Sweetney rookie card, only 25 made. Super rare Curtis Borchardt rookie card, only 25 made. Super rare TJ Ford rookie card, only 25 made. 03/04 Fleer/Skybox RC. Make: Skybox. Single Card As Seen In Scan. Super rare Darko Milicic rookie card, only 25 made. Serial numbered 015/025. 03/04 Fleer Skybox Rookie RC. Super rare Reece Gaines rookie card, only 25 made. 03/04 Fleer/Skybox RC. Super rare Aleksandar Pavlovic rookie card, only 25 made. 03/04 Fleer/Skybox RC. Make: Skybox. Single Card As Seen In Scan. See Scan For Actual Condition Of Card. UNOPENED BOX NBA SKYBOX 1990 BASKETBALL TRADING CARDS Magic Johnson Sealed! You receive the card shown in the photos and listed in the title.